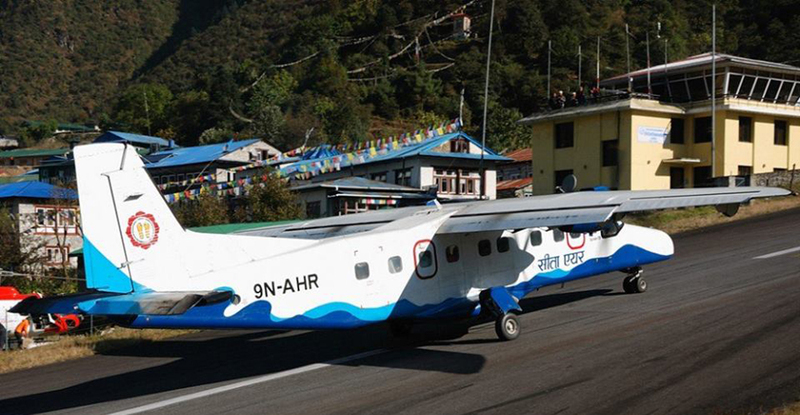 KATHMANDU, Jul 01: Sita Air has started flights from Surkhet to various remote districts from Friday. It has started flights between Humla and Simikot. The Chief Minister of Karnali State, Mahendrabahadur Shahi, Minister of Industry, Forestry and Tourism, Nanda Singh Budha, and Senior Director General of Sita Air, Ghanashyam Acharya, were present in the inaugural flight. According to Director General Acharya, a Dornier 228 aircraft was used for the flight. Sita Air has become the first airline to connect the state capital Surkhet to different remote districts. Acharya said that the possible destinations include Dolpa, Humla, Jumla, and Mugu. Acharya said that the new flight routes have been added with the view to aid in the development and tourism promotion of Karnali State. Flying directly from the state capital will also make air travel cheaper for passengers. Previously, locals of the Dolpa, Jumla, regions had to travel to Surkhet from Nepalgunj through a 3 hour road travel.